Just finished the 2014 Rally Indochina and all I can say is you have to do this ride to say you have lived. The food, scenery, cause and the staff make this one of the top bucket list items you have to do. 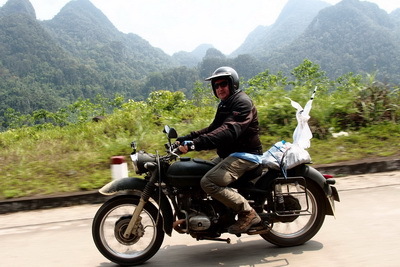 You have not seen Vietnam until you have seen it by motorbike. The staff, guides, food and mechanics make this one hell of a ride and I would recommend it to all who have a passion to ride one of the world's great rides.